The cheese slicer, or cheese plane, is an ingenious invention developed by a Norwegian cabinet maker, Thor Bjørklund. Using a principle similar to that of the carpenter’s plane found in his workshop, Bjørklund perfected a device for making very thin, uniform slices from the hard cheeses favored in Norway, such as gouda and jarlsberg. Bjørklund invented and patented the cheese plane in 1925. He founded the company Thor Bjørklund & Sønner AS in Lillehammer two years later, which was Norway’s only producer of the traditional Norwegian cheese slicer (ostehøvel), and the first in the world. Since then, the company has produced over 50 million cheese slicers. Originally, it took an hour to produce each cheese slicer, while today, approximately 7,000 slicers can be made in an hour. The cheese plane is not the only invention dedicated to cheese, however. The cheese knife itself is designed to combat the issue of very soft cheeses. 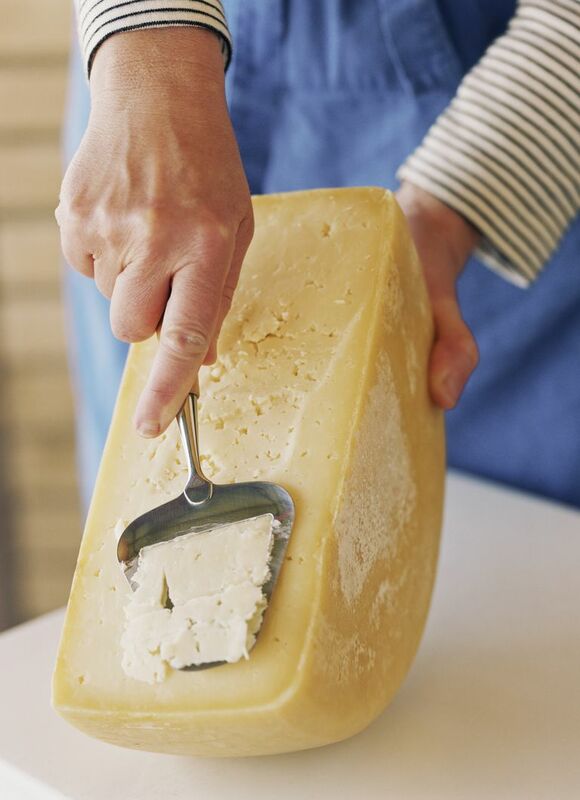 With a serrated blade, the cheese knife reduces the amount of soft cheese stuck to the blade. Most blades will also have holes to reduce the likelihood of cheese sticking to the knife. The cheese cutter features a board with a wire on a cutting arm. The wire is of a fine gauge, again designed to cut through soft cheese without sticking. The action of the cheese wire is like that of a garotte.